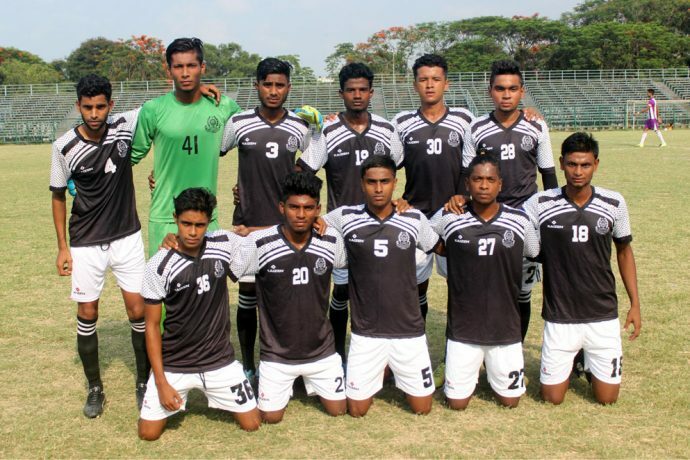 Mohammedan Sporting Club began their campaign in Group A of the ongoing U-19 IFA Shield 2017 with a narrow 1-2 defeat to Pathachakra Club on Sunday afternoon at the Mohammedan Sporting ground. Pathachakra Club took the early lead in the 4th minute through Dipankar Baral and Suprotim Barik increased the tally in the 67th minute before Goutam Teli pulled a goal back for Mohammedan Sporting in the 84th minute from the spot. “We dominated the match but it is sad we could not take our chances. I am pleased with the rest of the performance especially the new boys but we need to work on our finishing ahead of the next match against AIFF Elite Academy on Thursday,” said Mohammedan Sporting coach Zaheer Abbas Hamza. Mohammedan Sporting Club will face AIFF Elite Academy next on June 1 at the same venue and a win is a must to stay in the tournament.